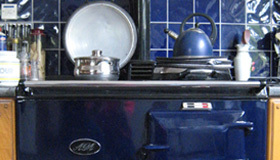 Home | Down Boiler Services - Aga Cookers & Rayburn Cookers Conversions - Boiler Servicing, Commissioning and Installations. Down Boiler Services is an OFTEC (Oil Fired Technical Association) registered Company. We are equipped with the latest computer dynamic flue gas analysis and testing equipment to ensure all boiler condition setting meets the highest standard of accuracy. Located in south of Co. Down we specialise in providing technical services to help our customers maintain their oil fired boilers and associated equipment. 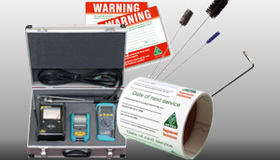 We also offer ECO heating checks to help customers, identify measures to reduce heating bills and oil dependency. In short we provide services for all your boiler needs and the skill to minimise your heating costs.